The Sitka History museum has acquired five works from Sitka artists for its permanent collections. These works entered the collections through an acquisition made possible with the generous support from the Museums Alaska Art Acquisition Fund, sponsored by Alaska’s Rasmuson Foundation. The Fund, first launched in 2003 by Rasmuson Foundation, provides grants to qualified Alaska cultural centers and museums for the collection of contemporary work by living, resident Alaska artists. Mark Bartlett’s painting U.S.S. Jamestown–The U.S.S. Jamestown was present in Sitka in 1867 during the transfer of Russia’s claims on Alaska to the United States, and later returned to Sitka in 1879. The painting was created specifically for exposition in the Sitka History Museum’s exhibit, The Past Inspiring the Present. This exhibit marked the beginning of the Museum’s commitment to offer new, dynamic, and varied perspectives of Sitka’s history, as reimagined through the eyes of contemporary artists. Norman Campbell’s drawing The Watchman was also explicitly created for the Sitka History Museum’s exhibit, The Past Inspiring the Present. A 1933 photo taken by Sitka’s own Photo Shop Studio, which captured the grandeur and mystery of a precariously balanced stalwart rock, motivated Campbell to venture outside of his invented landscape style to capture the almost unbelievable boldness of the natural Southeast Alaskan scene. Nicholas Galanin’s photographic print, Ism 1, is a visual juxtaposition of two different belief systems. Beginning with the idea of the “heavy and real” influence of cultural assimilation on Native Alaskans by missionaries, Galanin uses photography to graphically marry a Tlingit shaman mask with Christian iconography in order to explore the long-lasting issues resulting from their interactions. Tommy Joseph’s Blue Man Helmet takes its inspiration from Tlingit warrior helmets worn for protection in battle. Tommy Joseph/ Naal xák’w, a Tlingit Master Carver, is informed by the traditional art of the Tlingit and utilizes traditional tools and methods. However, Joseph states that he works in the present, using Tlingit iconography to carve new stories about the people around him. Teri Rofkar’s Cloak of the Aurora Waist Robe is a complimentary piece to her upcoming Cloak of the Aurora Robe, the second in her Tlingit Superman series. Teri Rofkar/ Chaas’ koowu tlaa is a renowned Tlingit artist, internationally recognized for her Raven’s Tail weaving, a nearly lost art form. 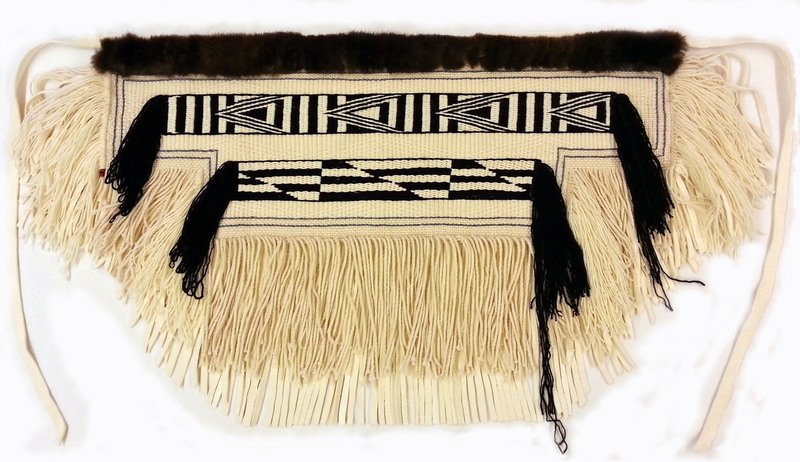 This latest project unites traditional designs and contemporary materials in an effort to keep Tlingit weaving relevant for future generations. The works of art will be on view in the new Sitka History Museum, opening in Spring of 2017.